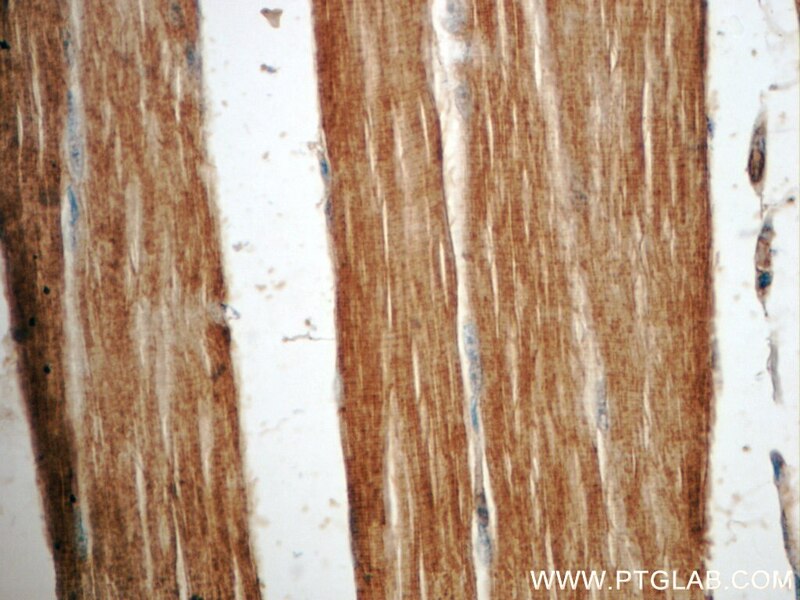 Immunohistochemical analysis of paraffin-embedded mouse heart tissue slide using 16004-1-AP (NBR1 antibody) at dilution of 1:200 (under 10x lens) heat mediated antigen retrieved with Tris-EDTA buffer(pH9). 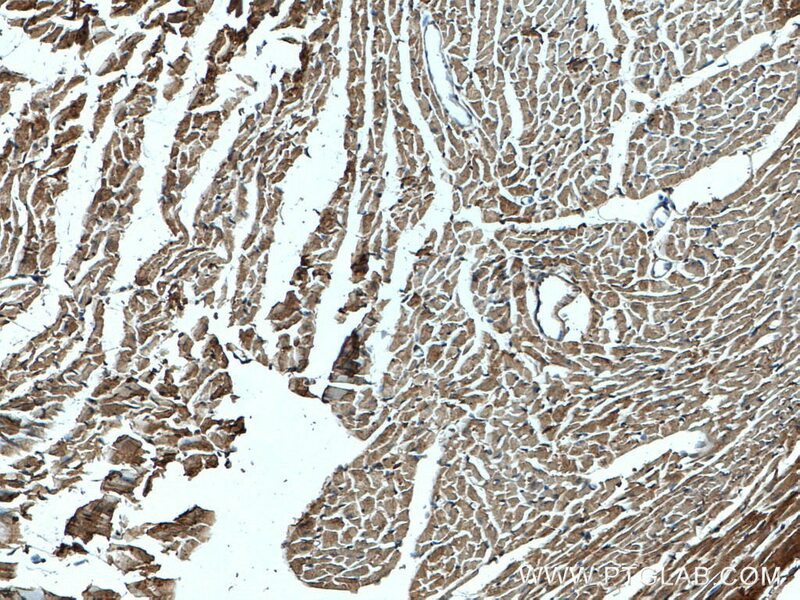 Immunohistochemical analysis of paraffin-embedded mouse heart tissue slide using 16004-1-AP (NBR1 antibody) at dilution of 1:200 (under 40x lens) heat mediated antigen retrieved with Tris-EDTA buffer(pH9). 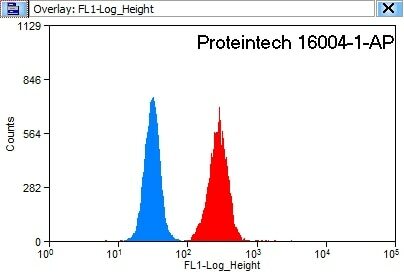 IP Result of anti-NBR1 (IP:16004-1-AP, 4ug; Detection:16004-1-AP 1:800) with HeLa cells lysate 2500ug. 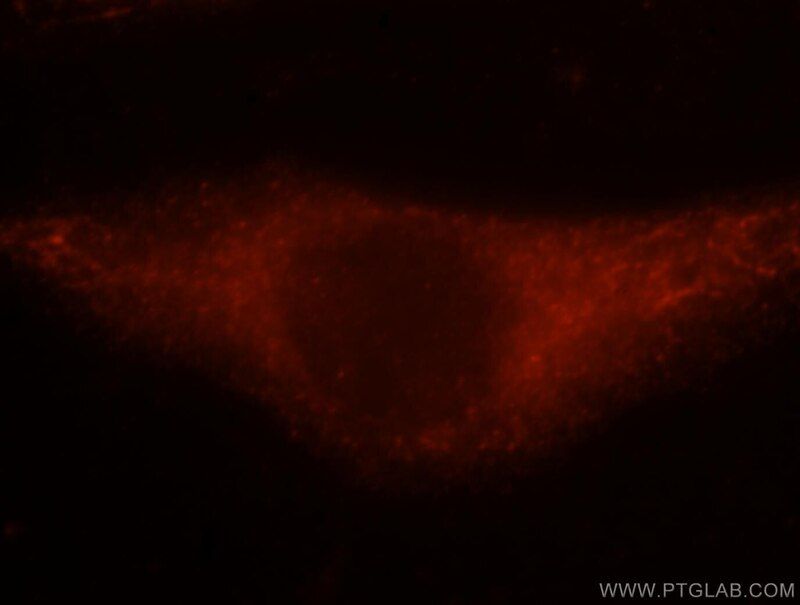 Immunofluorescent analysis of Hela cells, using NBR1 antibody 16004-1-AP at 1:25 dilution and Rhodamine-labeled goat anti-rabbit IgG (red). 1X10^6 HeLa cells were stained with 0.2ug NBR1 antibody (16004-1-AP, red) and control antibody (blue). Fixed with 90% MeOH blocked with 3% BSA (30 min). Alexa Fluor 488-conjugated AffiniPure Goat Anti-Rabbit IgG(H+L) with dilution 1:1500. 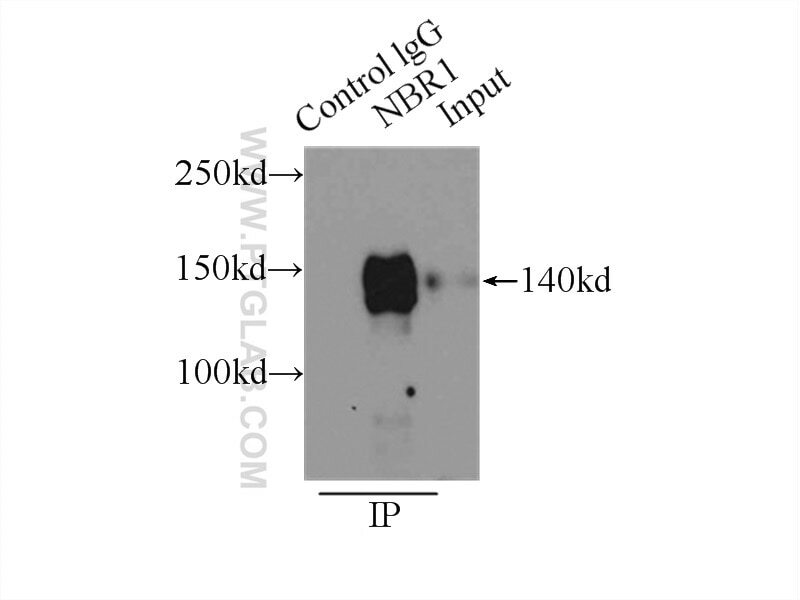 NBR1, also named as 1A13B, KIAA0049 and M17S2, acts probably as a receptor for selective autophagosomal degradation of ubiquitinated targets. NBR1 and P62 can bind to autophagic effector proteins (Atg8 in yeast, MAP1LC3 protein family in mammals) anchored in the membrane of autophagosomes. It is a highly conserved multidomain scaffold protein with proposed roles in endocytic trafficking and selective autophagy. 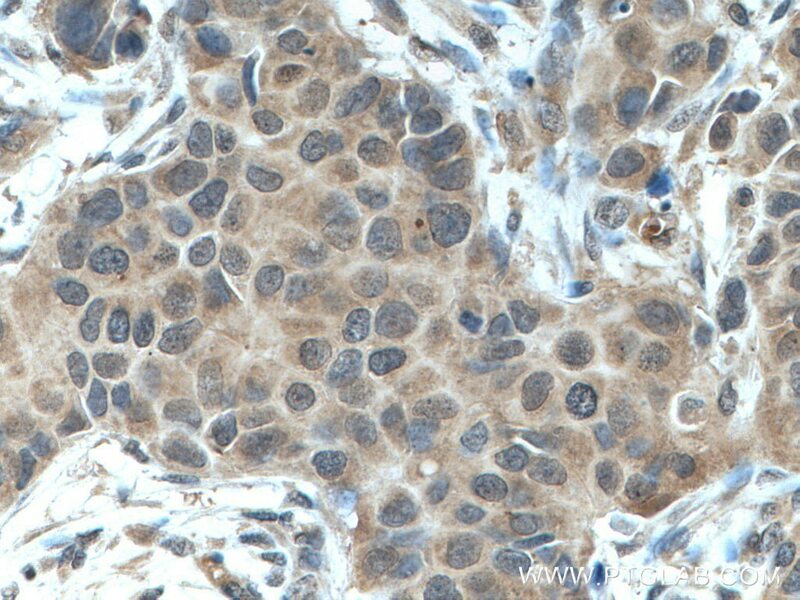 NBR1 is a novel PB1 adapter in Th2 differentiation and asthma. It functions as an autophagy receptor involved in targeting ubiquitinated proteins for degradation. It also has a dual role as a scaffold protein to regulate growth-factor receptor and downstream signaling pathways. Observed MW of NBR1 is 140 kDa (PMID: 22654911, PMID: 22484440). Autophagic adapter protein NBR1 is localized in Lewy bodies and glial cytoplasmic inclusions and is involved in aggregate formation in α-synucleinopathy. 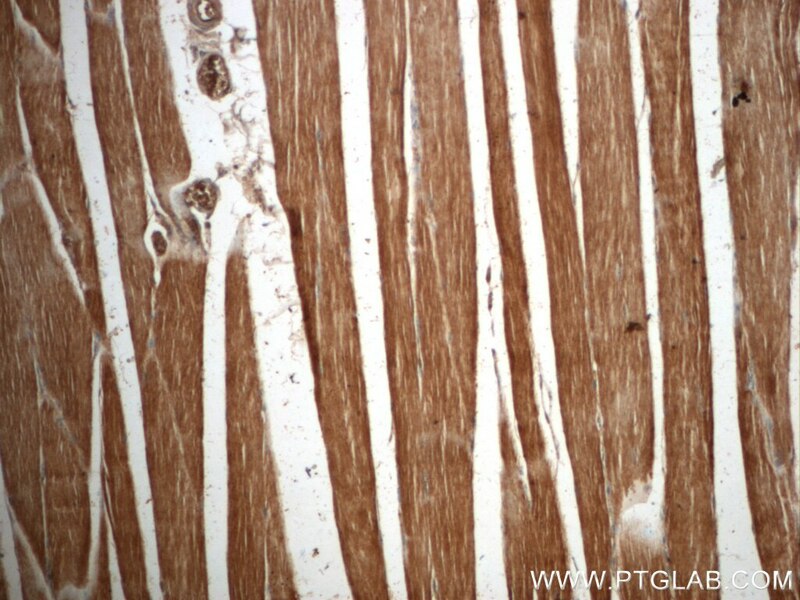 p62/sequestosome 1 binds to TDP-43 in brains with frontotemporal lobar degeneration with TDP-43 inclusions. 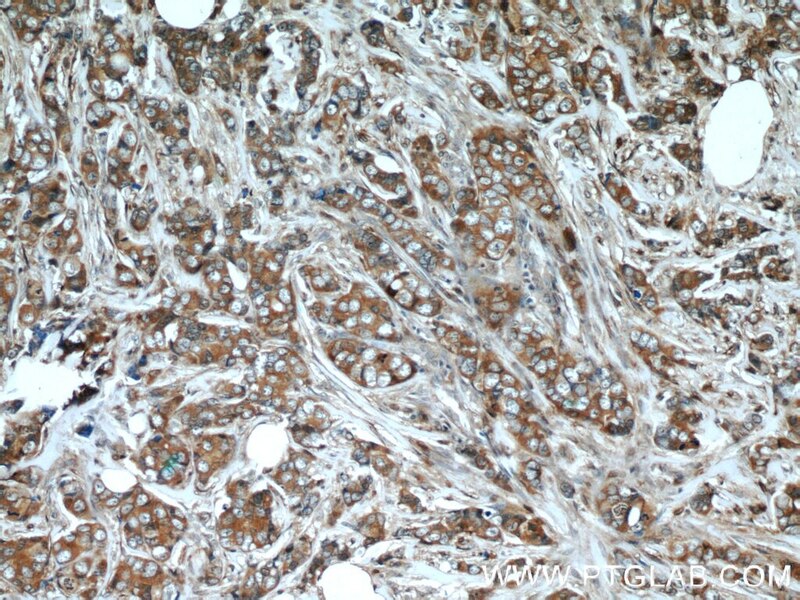 Ubiquitin-negative, eosinophilic neuronal cytoplasmic inclusions associated with stress granules and autophagy: an immunohistochemical investigation of two cases. 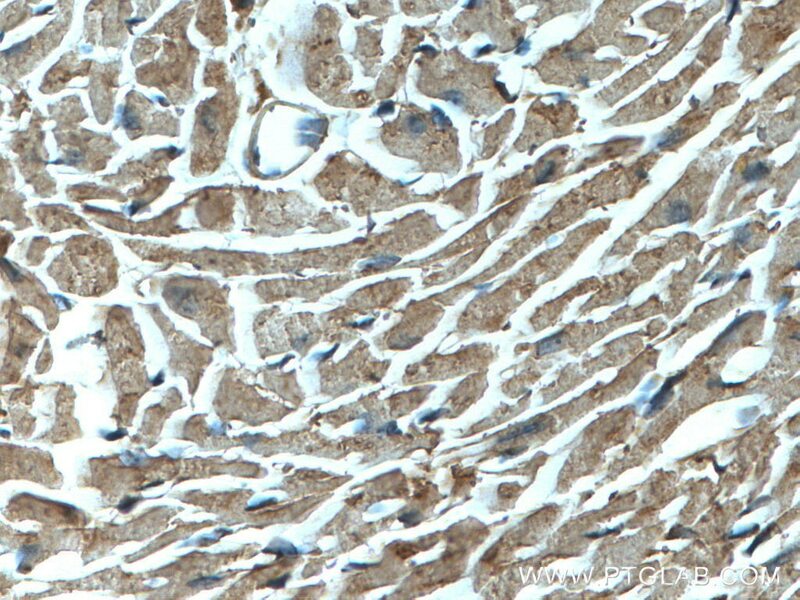 LC3, an autophagosome marker, is expressed on oligodendrocytes in Nasu-Hakola disease brains. Hif-2α promotes degradation of mammalian peroxisomes by selective autophagy. 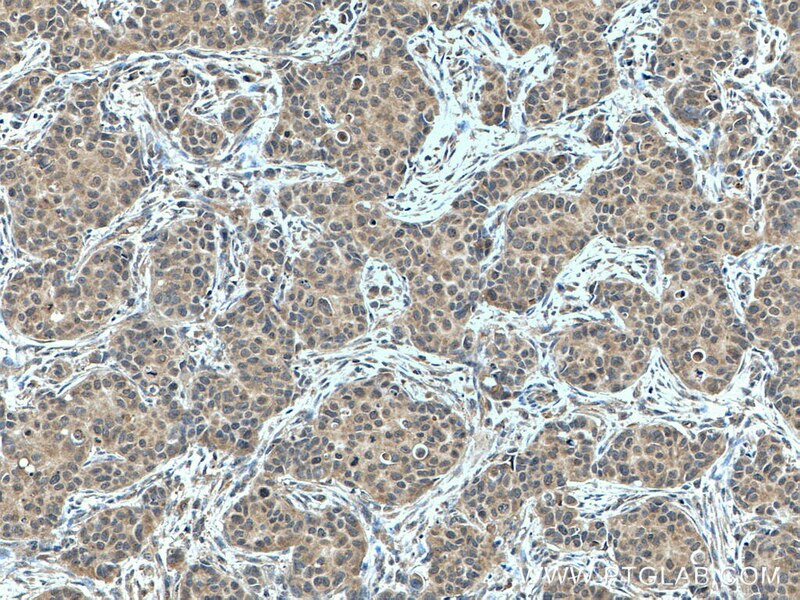 Immunohistochemical analysis of paraffin-embedded human breast cancer tissue slide using 16004-1-AP (NBR1 antibody) at dilution of 1:200 (under 10x lens) heat mediated antigen retrieved with Tris-EDTA buffer(pH9). 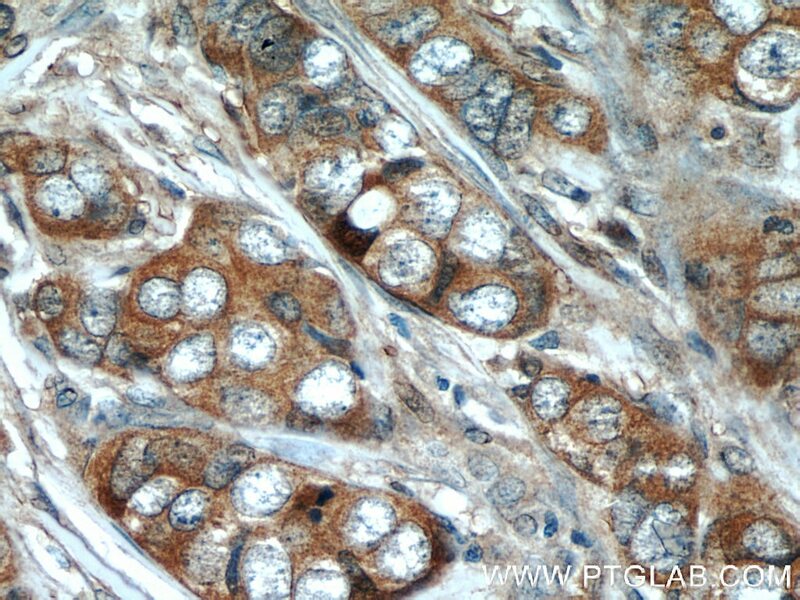 Immunohistochemical analysis of paraffin-embedded human breast cancer tissue slide using 16004-1-AP (NBR1 antibody) at dilution of 1:200 (under 40x lens) heat mediated antigen retrieved with Tris-EDTA buffer(pH9).